#BeakoftheWeek threw up a beauty with this selection. Its bill looks like it has had the aboriginal flag draped over it, it eats lungfish and it is 1.5m tall, I love it already. Add to that its wingspan of around 2.5m and you have got yourself one impressive bird. This species is unique amongst storks in being sexually dimorphic in colouration, with males having dark brown irises and females yellow. Their beaks not only look fantastic but they are also helpful in population studies, with variation around the distal edge of the black bill band allowing them to be individually identified. Saddle-bills have got to be one of the best looking storks out there and it would be a dream come true to head down to the Kruger National Park to see them, but for now i’ll make do with documentaries and YouTube. Check out the video below of some fishing in Kruger National Park (see if you can ID the male and female). I have to admit the Hamerkop really stole the show for me, and how that Lion watched so patiently i’ll never know. This species is found across tropical Africa and you can see a range map on Xeno Canto, but disappointingly no calls as they tend to be almost mute away from nests. It is usually found around aquatic habitats such as marshland and on the margins of large and small rivers, but also in savanna and semi-arid areas. This large bird tries to be a pescatarian with it’s mainly fish based diet, but it does slip up with some frogs, small mammals, reptiles and other tasty creatures. They make their large nests (around 2m across) in trees and lay 2-3 eggs late in the rainy season/early in the dry season. The eggs take about 30-35 days to hatch and the chicks fledge 70-100 days later, taking at least 3 years to reach maturity. The IUCN redlist has them down as of at least concern, with population sizes varying from 1,000 to 25,000. They are vulnerable to disturbance wetland degradation and conversion to agriculture. BirdLife International. 2012. Ephippiorhynchus senegalensis. The IUCN Red List of Threatened Species 2012: e.T22697706A40246910. http://dx.doi.org/10.2305/IUCN.UK.2012-1.RLTS.T22697706A40246910.en . Downloaded on 30 September 2015. Elliott, A., Garcia, E.F.J. & Boesman, P. (2013). Saddlebill (Ephippiorhynchus senegalensis). In: del Hoyo, J., Elliott, A., Sargatal, J., Christie, D.A. & de Juana, E. (eds.) (2013). Handbook of the Birds of the World Alive. Lynx Edicions, Barcelona. (retrieved fromhttp://www.hbw.com/node/52747 on 30 September 2015). Africa Adventures. 2015. Saddle-Billed Stork Fishing In Kruger Park. Online. 30/09/2015. Available from: https://www.youtube.com/watch?v=xJhN64jRasQ. Male and female fishing by Tarique Sani is licensed under CC BY-NC-SA 2.0. The short version: After you’ve marked a bird, spin the beak around and look from another angle. Are the points still where you thought they were?! Anyway, thanks to helpful comments and questions from our early adopters, we’ve been able to identify a few teething problems with the site that we hadn’t anticipated. In addition to the landmarking guide and extra tips sections of Mark My Bird, we’ve put together this list of Top Tips to help guide you through the most common issues (see also the Twitter tag #MMBTopTips). Ultimately, we’ll incorporate this in to the existing guides, and put together some FAQs. Don’t forget, if you have any feedback you’d like to give us then please get in touch using the Mark My Bird forum, or via our Twitter page or Facebook group. We want to hear from you! What do you like about the site? What don’t you like so much? Which birds are your favourites to landmark and which fill you with despair when they pop up? Let us know! You guys are doing an amazing job, and what’s even cooler is being able to watch people’s landmarking improve the more bills they work on. Keep it up! When there are mistakes, the most common one that we’re seeing by a long way is with landmarks “falling off” the edges of a bill. Something that is surprisingly easy to forget when using Mark My Bird is that the bills you’re looking at are not flat images, but 3D surfaces. Unfortunately, this can result in edges that look fine from one angle, but when you spin the bird around to look at it from a different direction, you can see that things have gone a bit wrong. What’s probably happened here is that the point was accidentally placed on the surface just behind the spot the user was aiming for, and as a result, the whole curve went wonky. D’oh! What we think has happened here is that the interface told the user that they hadn’t placed enough points to finish the curve, so they went back and added some points in between the ones they had already placed. Mark My Bird is not clever enough for this! Rather than a dot-to-dot, the edge tool is more like a spider dragging a thread behind it, and if you go back on yourself, the edge follows, ultimately drawing a circle(s) between the tip and back of the beak. Here, we think the user has started tracing the curve at the back and moved towards the front, rather than starting at the front and moving to the back. This effectively draws one big circle. Several people told us that the midline didn’t go exactly where they wanted it to. In some cases, you can realign the whole midline by adjusting points 1, 2 or 3 after you’ve placed them. Simply use the “prev” and “next” button to navigate to the point you want to change. You can then use the “undo” button to remove your point, or you can just click in the new location straight away if you’d prefer. After that, click midline again to recalculate the new position. We’re still not sure why this is happening and are trying to fix it! In the meantime, you can edit the midline manually, just like you can with the left and right edges, by clicking “undo”. This sequentially removes points from the back, so that you can reposition them yourself. The undo feature is also useful on those (extremely!) rare occasions when you get an asymmetrical beak, like the wrybill, or a crossbill. Here, the user has got it correct on the left-hand side, but has accidentally followed a shadow on the right-hand lower bill, rather than the cutting edge. You can see how one side dips lower than the other when we look at the bill front-on. In the example below, the user hasn’t followed the right-hand side as far back as the left-hand side. This could be because they’ve accidentally followed the left-hand side too far (perhaps a feather lined up with the beak and made it look longer than it is), or they haven’t followed the right-hand side far enough (perhaps a rogue feather drifted in front of the scanner). Honestly, scanning birds would be a whole lot easier if they didn’t have feathers… Either way, using the symmetry as a guide can help you to make a judgement call and correct your points accordingly. Mark My Bird has a built in Google image search button that pops up when you’re first assigned a new bird to mark. Everyone we’ve spoken to has said that having another tab open with pictures of the birds they’re marking really helps them to identify the landmark points. Plus, you get to see the rest of the bird! Yes, yes, the beaks are the best bit. But annoying as they are to scan, the feathers can be pretty spectacular as well. A major part of this project involves collecting data on avian bill morphology by using 3D scanners to create models which we can then analyse at a later date. Being able to carry out this work in a museum setting such as the Natural History Museum in Tring and Manchester University has many advantages, most of which we will discuss in an upcoming blog about working with Museum collections. We are able to collect data on pretty much every single extant bird species on the planet using these collections without needing to study specimens in the wild, and we can do it all in one place. Obviously this data has many uses when it comes to our own research, and will hopefully be used by many other future projects as the data will be open source – but our research has also got us thinking about other uses for 3D scanning technology. We didn’t have to go far to find our first examples of how 3D models can be used in order to help birds. The most recent case we’ve seen was that of a Toucan called Tieta whose beak was damaged whilst she was being illegally trafficked in Brazil. When she was taken in by the authorities most of her upper bill was missing, but thanks to 3D printing she has had a replacement bill fitted enabling her to go back to using regular feeding techniques. You can read more about Tieta and watch a video of her here. This will come as good news to another Toucan that is still waiting for their new 3D printed beak to be fitted, and to Tieta’s male companion. It is not just bird beaks that have been printed off to improve the lives of birds and allow them to function more normally. This heart warming story about buttercup the duck getting a new printed foot after she was born with a backwards left foot shows just how multi-functional 3D printing solutions can be. One of the best stories we have come across so far is that of Derby the dog who was born with deformed front legs. The 3DSystems printed off some prosthetics for him and he is now able to run around and play fetch to his hearts content. You can see the full story on Derby here – it’s bound to bring a smile to your face. That’s probably enough stories about how 3D printing has helped animals (unless you want to read about how a cat had a new knee joint printed that is). It also has extensive uses in human medical applications. These can vary from the extremes of printing a replacement skull for a baby after it grew to 4 times its original size, to printing replacement hip joints. In a case where a newborn baby was struggling to breathe due to issues with collapsed bronchus, scientists at the University of Michigan were able to get a lung stint printed that has enabled the baby to breathe freely for the first time. As a zoologist I should probably be getting more excited about the applications of 3D printing animal prosthetics and the like but I find myself rather intrigued about the prospect of having a 3D food printer at home for use at my whimsy. I imagine many of you would be happy to receive a 3D chocolate printing machine this coming Christmas and if this article is to be believed then you might just be in luck. A huge area for future development in 3D printing has got to be the construction industry. Construction projects using 3D printers could potentially reduce waste and construction times. For example, a team in China claims to have 3D printed 10 houses in 24 hours, which is certainly a lot quicker than current building projects take where I live. 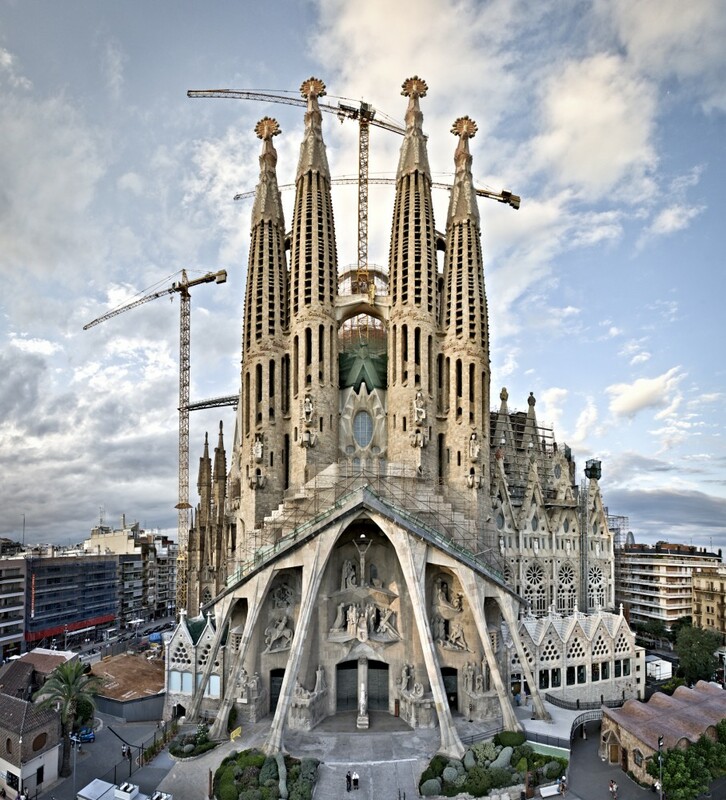 Envisage what Gaudi could have achieved with a 3D printer, the Sagrada Familia might have been built a tad quicker. It could also cut back on labour costs and health and safety risks. The automotive industry is also taking advantage of 3D printing with projects such as those reducing the weight of car parts like this one. Thus far I have only covered what I would term the ‘positive side’ of 3D printing but this technology has not been without its controversies, with plans to print a 3D gun being made available online (this is a link to the BBC, not the blueprints, in case you were wondering). These guns can be undetectable by x-ray scanners and weapon detectors and can provide a loophole around gun control legislation. There will also always be ethical issues and friction when we are talking about printing things like human organs, a debate that I will steer clear of. In recent times there have been major moves to move away from our over-reliance on plastics, something which the cheaper and more readily available printers rely upon. Perhaps future developments will concentrate on the usage of recycled plastics and reduce our overall plastic usage. There is also the impact on jobs to take into consideration. Whatever your thoughts I imagine the debates will rumble on for quite some time. The applications of 3D printing seem to be endless. How long will it be before the technology is good enough for you to be able to print your Amazon orders off in your own home (who needs AmazonPrime when you can have AmazonInstant)? If this were to happen maybe the possibility of drones hovering around our heads with little cardboard packages may never reach fruition… I can but hope. With what has already been achieved with this technology exciting times lie ahead. Hopefully someone will start up a project soon scanning all of the worlds mammals, fish etc. Imagine having the whole animal kingdom 3D scanned and all opensource. Get to it science. 3D printers still seem to be reserved for the more technologically minded, and they are still a tad out of my price range, but in the years to come they will be entering into more of our homes and playing a greater role in our lives. Exciting times ahead. 3D Printer World. 2013. BEAUTY THE BALD EAGLE GETS A NEW 3D PRINTED BEAK. Online. 03/09/2015. Available from: http://www.3dprinterworld.com/article/beauty-bald-eagle-gets-new-3d-printed-beak. BBC News. 2015. Mutilated toucan gets 3D-printed beak prosthesis. Online. 03/09/2015. Available from: http://www.bbc.co.uk/news/world-latin-america-34039680. Keith Bubach. 2013. BEAUTY THE BALD EAGLE GETS A NEW 3D PRINTED BEAK. Online. 03/09/2015. Available from: http://www.3dprinterworld.com/article/beauty-bald-eagle-gets-new-3d-printed-beak. 3D Printer by Kadel3003 is licensed under CC BY-SA 4.0. The Rifleman or Titipounamu is one small bird, thought to be New Zealand’s smallest in fact, measuring between 6-7g and only 7-9cm long. It is endemic to New Zealand and is one of only 2 surviving members (originally 6) of the New Zealand Wren family (Acanthisittidae) along with the Rock/South Island Wren. Like a lot of the smaller species, this proved a tricky one on #BeakoftheWeek. The Rifleman sounds like it belongs on the front line, which is unsurprising given that its name apparently stemmed from a resemblance to a regiment in the New Zealand armed forces. Although it looks like a member of the true wren family (Troglodytidae) or a fairy-wren (Maluridae) it is not related to either. You can have a look where it sits in the avian phylogeny on OneZoom. This species is sexually dimorphic and you can see in these pictures the clear differences between the males and females. They are monogamous with long-term pair bonds and are cooperative breeders, with helpers, usually offspring from previous breeding seasons, aiding them with feeding chicks and other duties. Breeding occurs between August and February. Enclosed spherical nests are built in existing cavities, with the lion’s share carried out by the male. 2-5 eggs are laid that take ~20 days to hatch and a further 24 days for the chicks to fledge. Incubation and nestling and fledgling feeding duties are shared between the breeding pair with some help from helpers with feeding. Rifleman are insectivorous and partial to tasty treats such as spiders, moths and butterflies, flies and wingless crickets. They forage in pairs or small groups, rarely alone. They rarely forage on the floor and take most of their prey from trunks, branches and twigs. As poor fliers they mostly just make short flights between the canopy. If you are on a trip to New Zealand to seek one of these chaps out then you should head to some mature forests, and listen out for some of these songs on Xeno Canto. They are of ‘Least Concern’ on the IUCN redlist, although their population is said to be in decline due to habitat destruction and introduced pests such as stoats. BirdLife International 2012. Acanthisitta chloris. The IUCN Red List of Threatened Species. Version 2015.2. <www.iucnredlist.org>. Downloaded on 01 September 2015. BirdLife International (2015) Species factsheet: Acanthisitta chloris. Downloaded from http://www.birdlife.org on 01/09/2015. Gill, B. (2004). Rifleman (Acanthisitta chloris). In: del Hoyo, J., Elliott, A., Sargatal, J., Christie, D.A. & de Juana, E. (eds.) (2014). Handbook of the Birds of the World Alive. Lynx Edicions, Barcelona. (retrieved from http://www.hbw.com/node/57585 on 1 September 2015). “Acanthisitta chloris chloris” by Jon Sullivan is licensed under CC BY-NC 3.0. EYESEALAND Visual Media. 2010. Rifleman on Tiritiri Matangi Island. Online. 01/09/2015. Available from: https://www.youtube.com/watch?v=-dcGm5S-gyA. “Suffolk Stoats” from wikimedia commons is licensed under CC BY-SA 3.0.